Abundant rain has given us fall landscape colors that we don’t often see. Native plants can provide this color consistently since they are used to the area. Grasses can provide color and texture well into the winter. 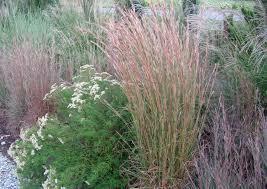 Some of our favorites include Little Bluestem, Broomsedge, and Muhly Grass. If you see a plant you like, take a picture and drop us an email,we’d love to help you identify it!